Loving it but hitting a ceiling? (is our Executive Coaching what you need?). In the wrong job? Seeking career change at 30? 40? Looking for career change over 50? Many executives seek our career change advice to make the right change for the right reasons. Facing redundancy? We have well structured programmes and offer support from our own experience. Typically we shorten your period out of work by months. Do you understand how your core values have shaped your career and life choices? Common drivers are – the need for security, for self-expression, for belonging, for achievement, for recognition, for money as evidence of success or proof of recognition. Some people are driven by the negative, so the subconscious drive is to avoid – failure, poverty, shame, not belonging. We help you uncover the deep-seated drivers in your life, positive and negative, which really control your choices. We believe that we make rational choices however, neuroscience now reveals what really goes on in our brains. We help you mine your own mind and create the most satisfying choices for your future. Start your career counselling programme (or redundancy programme) by examining your life and career from several perspectives. 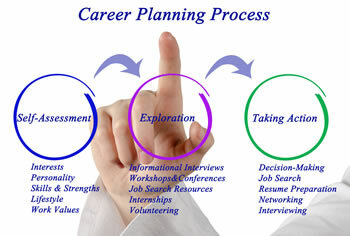 We help your clarity with career assessment test for adults. Become crystal clear about what is important to you (core values). Add your priorities, commitments, interests, competencies, skills, experience etc. Also, what metaprogrammes influence you? (do you like the big picture or the detail? Do you work towards a clear vision or away from a fear (failure, humiliation….?). Build a picture of you and your life – now – and what you want in future. Researching online and in person, exploring options and possibilities, testing assumptions, confirming commitment to the possible changes. Networking, using search firms and agencies, preparing CVs for each type of application, completing application forms (including handling awkward issues), using social media – your LinkedIn profile, perhaps setting up a website, interview skills and practice, negotiating the package, handling references, induction into the new role. To start this journey into your new career, with the confidential support of experienced professionals committed to success, email us at barbara@diamondshr.co.uk or call us on 0131 237 6007. While looking for new opportunities, Barbara was professional, honest, fair and interested in my career journey. She contributed to my eventual success in a number of varied roles for which I needed to adapt my style, CV and often presentations. She helped with interview practice, finding the “anchor” from which to deliver your best performance, as well as providing CV guidance – which i (sic) thought my recent MBA had all but ticked off, as well as walking through pitch presentations in order to perfect both their content, delivery and relevance.